Tiger Woods is firm favourite to get the better of Phil Mickelson in their Showdown at Shadow Creek this weekend. 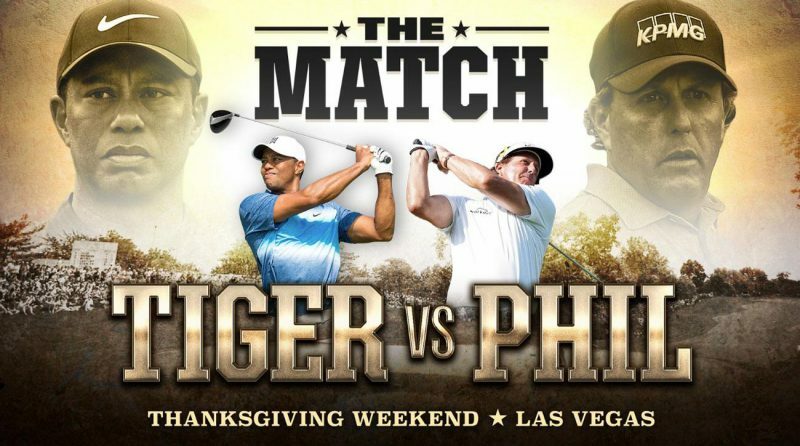 The two giants of the game meet in Las Vegas this Thanksgiving weekend and play matchplay over 18 holes for a purse of $9million. The event is pay-per-view so there will be no crowd at the course, other than a few sponsors and selecte guests and it remains to be seen how popular the event will be. “I just don’t want to lose to him and give him the satisfaction because the bragging rights are going to be even worse than the money,” said Mickelson. But Bookmakers do not see it being a close contest at all. Woods is odds-on at 4/9 to win with Mickelson at 13/8. The pair has reportedly placed a bet with each other on who will win the opening hole where Woods is 12/5, Mickelson is 14/5 and a tie is 4/5. “They are two of the biggest names in the history of the game and as a result this is an exhibition match which has really caught the attention of punters who have been backing Tiger to beat his rival ever since this exhibition match was announced,” said Coral’s John Hill. A look at a busy day of racing action on Friday with BetVictor's Charlie McCann. Manchester City are considering making a move for Tottenham Hotspur defender Toby Alderweireld, which would see them challenge neighbours Manchester United for his signature. Odds accurate; 22/11/2018 12:00 am.